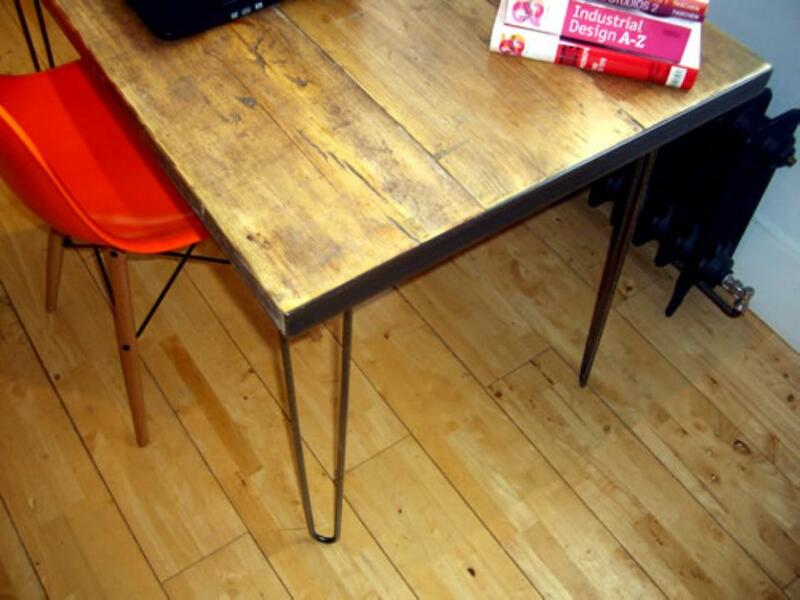 The table has a full steel frame to which the hairpin legs are attached, rather than a small "L" bracket per leg as is usually seen. The legs can be removed or folded as a subassembly, making transport and installation easier. 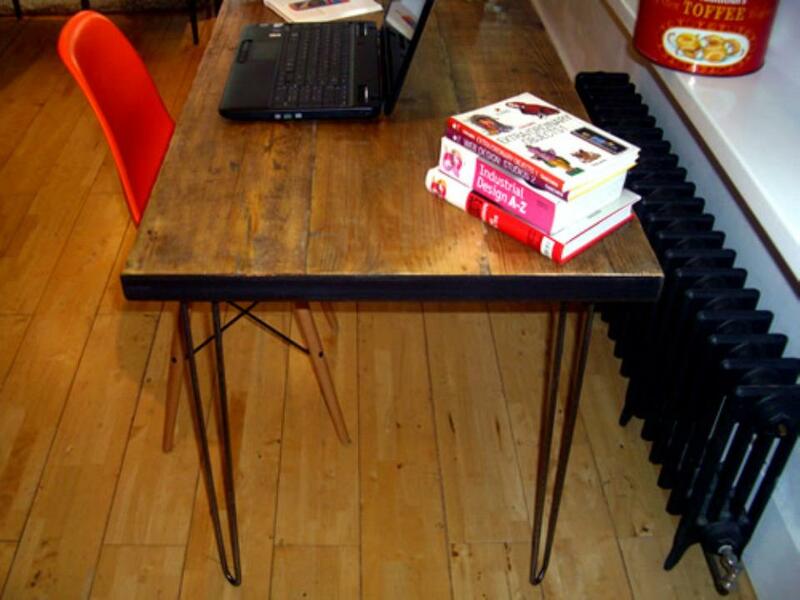 This system also allows for small adjustments for uneven floors. 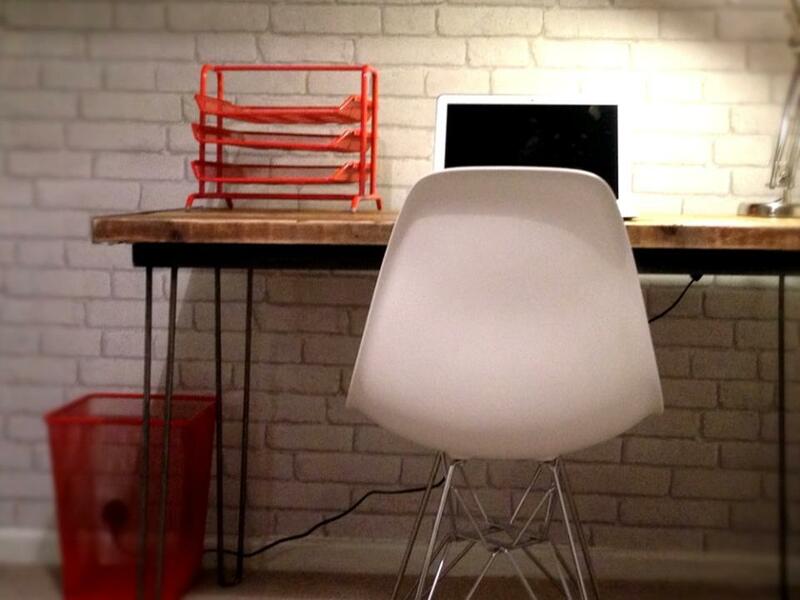 Simple, clean elegant lines make this vintage industrial desk a great place to work. 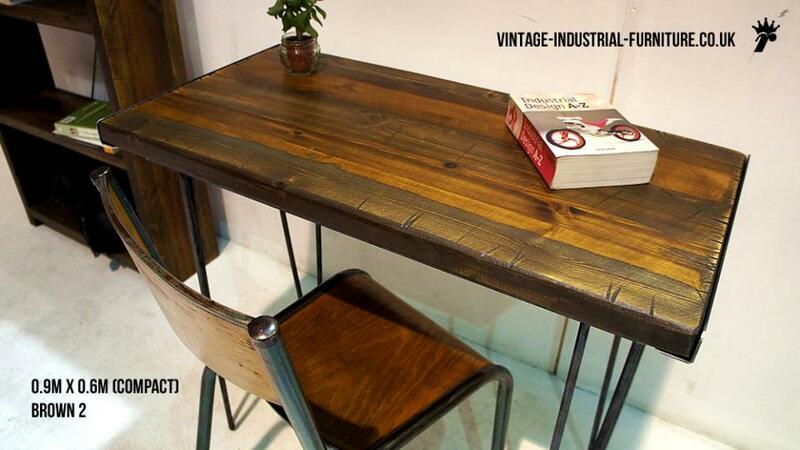 A chunky upcycled style wooden top supported on a surpisingly sturdy, substantial hand-crafted steel frame and solid metal hairpin legs make this piece a must-have. 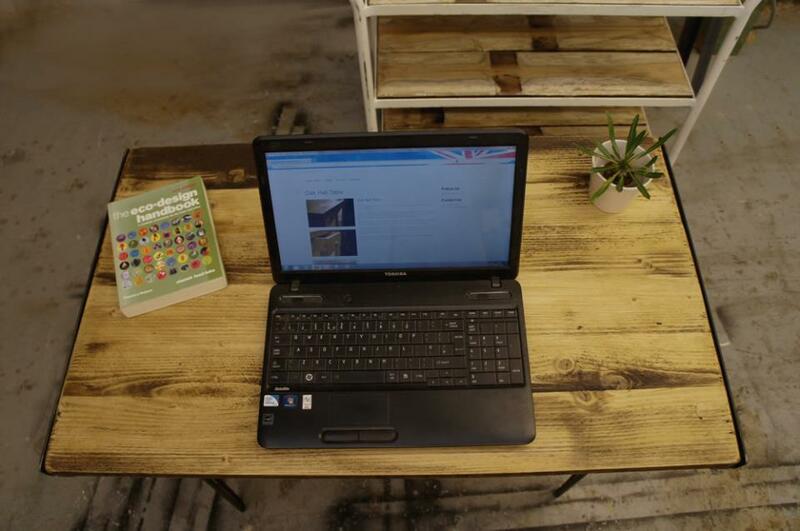 The recycled style wooden top means that your desk will be unique and something you'll want to keep long into the future. 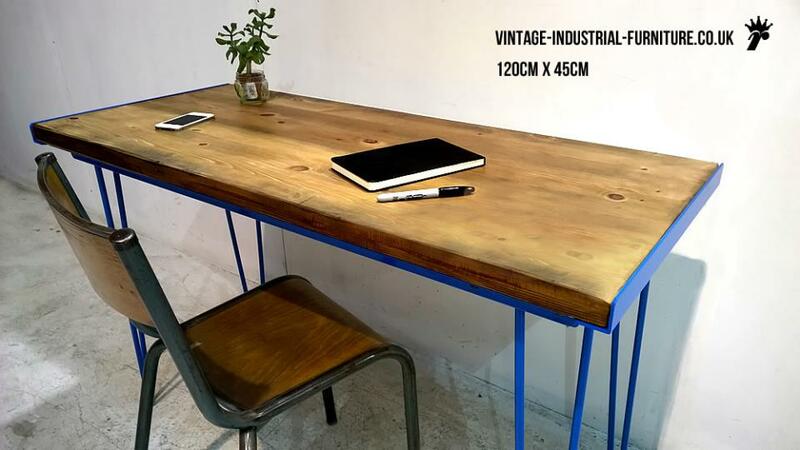 This vintage industrial desk is made by us at our workshop in Birmingham and shipped to your door for no extra cost. 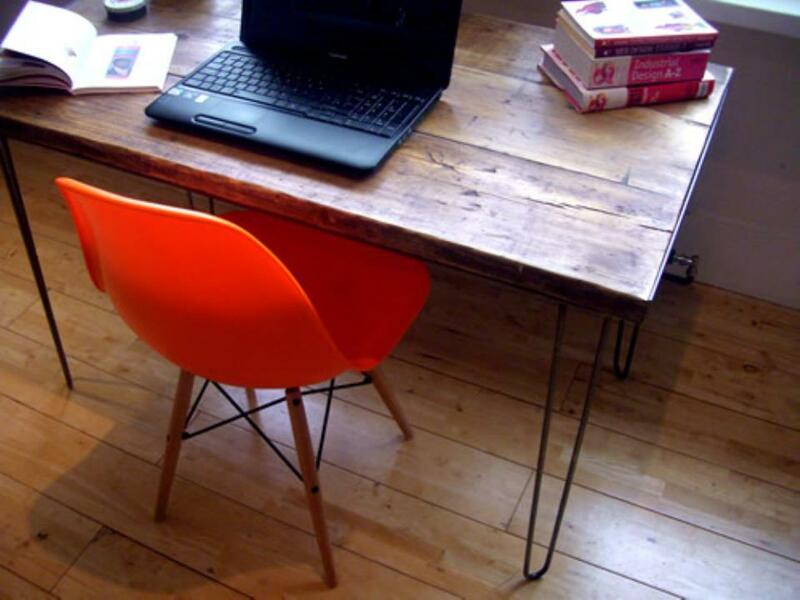 The work surface is sealed and then waxed and hand finished to give a beautiful lustre. The colour shown in the photographs is the natural/light colour. A darker, medium brown colour is also available, shown in the last image. 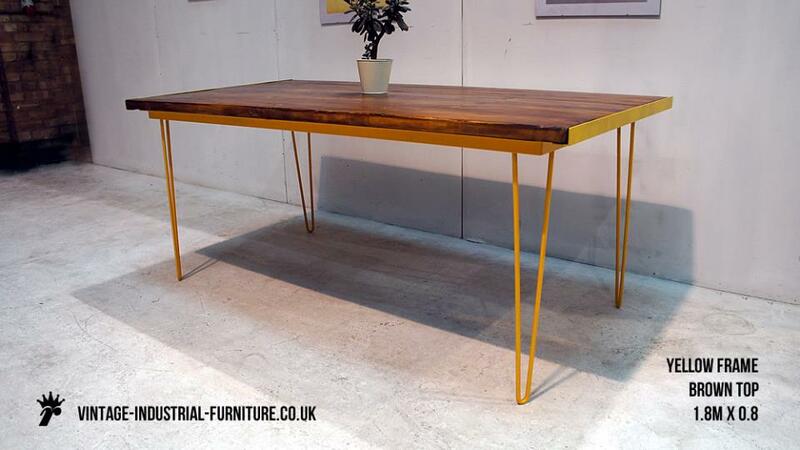 We also offer a hairpin coffee table in a similar design. 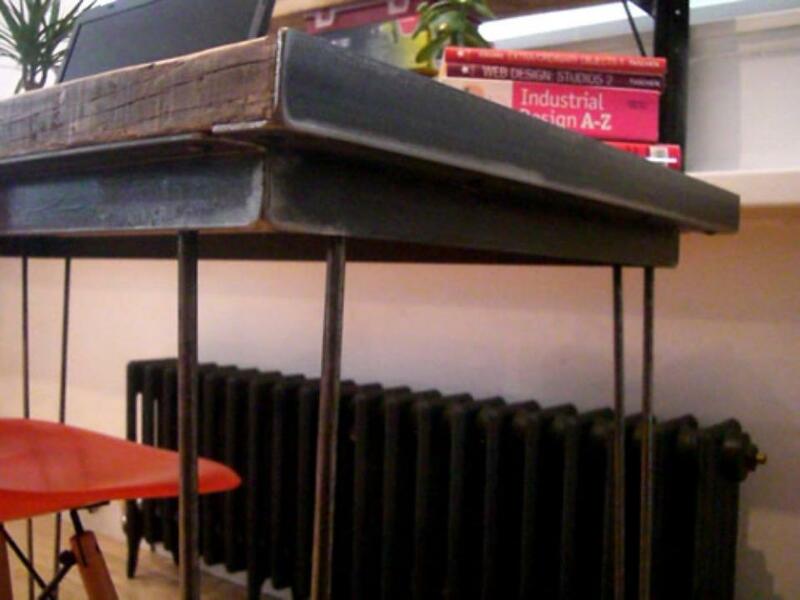 Also - why not take a look at our Vintage Industrial Loop Leg Desk. Colour choices are: "brown 1", and "natural brown tint" (NBT). 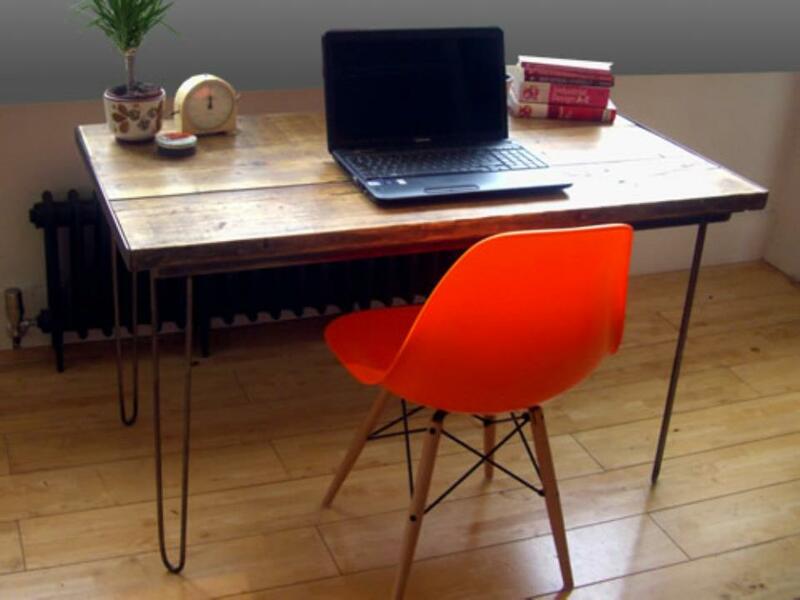 To have your desk with coloured legs and frame please specify the colour in the checkout message box.